ConferenceSeries Ltd invites all the participants across the globe to attend the 2nd Dentists and Prosthodontics Annual Meeting (Prosthodontics-2017) during May 18-19, 2017 in Toronto, Canada. Theme of the conference is Enjoy the beauty of a healthy smile by new innovation in Dentists and Prosthodontics with an objective to encourage young minds and their research abilities by providing an opportunity to meet the experts in the field of Dentists and Prosthodontics. Prosthodontics 2017 are designed to explore various applications in dentistry. ConferenceSeries Ltd organizes a conference series of 3000+ Global Events with over 600+ Conferences, 1200+ Symposiums and 1200+ Workshops in USA, Europe & Asia with support from 1000 more scientific societies and publishes 700+ Open access journals which contains over 30000 eminent personalities, reputed scientists as editorial board members. The term Oral Leukoplakia includes cancers of the mouth and the pharynx. Several types of tissue make up the mouth and oropharynx. Most cases of oral cancer are because of cigarette smoking, heavy alcohol use or the use of both tobacco and alcohol consumptions in Gum Cancer. The stage of oral cancer is one of the most important factors in evaluating treatment options in Oral Care. A stage I oral cancer tumor means the primary tumor is 2 cm across or smaller and no cancer cells are present in nearby structures, Gum Infection, lymph nodes or distant sites. A stage II oral tumor measures 2–4 cm across and no cancer cells are present in nearby structures, lymph nodes or distant sites. The oral tumor is larger than 4 cm across and no cancer cells are present in nearby structures, lymph nodes or distant sites is stage III. Stage IV is the tumor has invaded deeper areas and/or tissues . Depending on the stage of Oral Cancer the type of surgery is recommended. Tumor resection is an operation to remove the entire tumor. Some normal tissue surrounding the tumor is also removed to ensure that no cancer cells remain in the body. Related Conferences: 24th International Conference and Exhibition on Dentistry and Oral Care May 11-13, 2017 Dubai, UAE; International Conference on Orthodontics and Dental Implants, May 9-10, 2016, USA; 12th World Congress on Dentistry and Oral Health August 4-5, 2016 Manchester, UK; 13th International Conference and Exhibition on Dental Medicine August 08-10, 2016 Toronto, Canada; 19th American Dental Congress December 08-10, 2016 Phoenix, USA; International Symposium Oral and Maxillofacial Surgery, January 25-29, 2016, USA; Canadian Association of Oral and Maxillofacial Surgeons Annual Conference, June 2 -4, 2016, Canada; Cranio Maxillofacial Surgery Congress, September, 13-16, 2016, UK; European Association of Oral Medicine Congress, September, 15-17, 2016, Italy, American Academy of Periodontology, American Academy of Restorative Dentistry. Endodontics is that branch of dentistry, concerned with the morphology, physiology, and pathology of the human tooth, and in particular the dental pulp or Dental Pulp Capping, root and peri-radicular tissues. The study and practice of endodontic includes the biology of the normal pulp, crown, root and peri-radicular tissues and the aetiology, prevention, diagnosis and treatment of diseases and injuries, Dental Trauma, Dental Surgery that affect these tissues. Related Conferences: 17th Asia-Pacific Dental and Oral Care Congress Nov 7-9, 2016 Melbourne, Australia, 24th International Conference and Exhibition on Dentistry and Oral Care May 11-13, 2017 Dubai, UAE, 19th American Dental Congress December 08-10, 2016 Phoenix, USA, International Conference on Orthodontics and Dental Implants, May 9-10, 2016, USA, Dental and Oral health therapist New Zealand October 11, 2015, EnterConf. JUNE 18-19, 2015, T13 HUB, BELFAST, BSDHT Oral Health Conference and Exhibition 18th & 19th November 2016 - Waterfront Hall Conference Centre, Belfast, American Academy of Periodontology September 10-13, 2016 San Diego, American Association for Dental Research, American Academy of Orofacial Pain. Oral and Maxillofacial Surgery is an exciting and challenging specialty of Dentistry that combines dental, medical, and surgical knowledge and skills. Oral and Maxillofacial Surgery is the specialty of Dentistry that concentrates on the diagnosis and surgical management of Oral Health and maxillofacial pathologic conditions, including epithelial diseases, mesenchymal disorders of soft and hard tissues, and Dental Trauma. Related Conferences: 19th American Dental Congress December 08-10, 2016 Phoenix, USA, 13th International Conference and Exhibition on Dental Medicine August 08-10, 2016 Toronto, Canada, 24th International Conference and Exhibition on Dentistry and Oral Care May 11-13, 2017 Dubai, UAE, 19th American Dental Congress December 08-10, 2016 Phoenix, USA, ITI Congress Finland Helsinki September 11-12 2015, ADA Washington D.C, November 5-10, IFED 2015 Cape Town, 5th-7th of November 2015, ICOMS October 27 – 30, 2015 in Melbourne, Australia American Academy of Paediatric Dentistry, American Dental Association. Every interaction between your dental practice, Dental Radiology and a patient is a component of marketing. In some cases, this will encompass concrete details like the way your office staff answers the phone or the list of services you offer. The need for better dental marketing has increased with the public’s awareness, as well as industry need to develop better services as Dental Materials. Because of the flood of information on the internet, average new patient is more aware and educated concerning the aesthetic options available today from a dentist. As a result, a higher quality dentist is being requested that .they have to develop a Comprehensive Marketing Strategy. 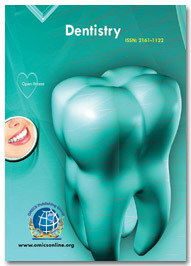 Dental Materials Market Analysis is not complete without comprehensive internet marketing. By now, most dental practices possess a fairly upscale website. The next key to your Cosmetic Dentistry marketing plan is to constantly enhance the user experience of website. Related Conferences: 24th International Conference and Exhibition on Dentistry and Oral Care May 11-13, 2017 Dubai, UAE; International Conference on Orthodontics and Dental Implants, May 9-10, 2016, USA; 12th World Congress on Dentistry and Oral Health August 4-5, 2016 Manchester, UK; 13th International Conference and Exhibition on Dental Medicine August 08-10, 2016 Toronto, Canada; 19th American Dental Congress December 08-10, 2016 Phoenix, USA; International Symposium Oral and Maxillofacial Surgery, January 25-29, 2016, USA; Canadian Association of Oral and Maxillofacial Surgeons Annual Conference, June 2 -4, 2016, Canada; Cranio Maxillofacial Surgery Congress, September, 13-16, 2016, UK; European Association of Oral Medicine Congress, September, 15-17, 2016, Italy, American Academy of Fixed Prosthodontics, Academy of General Dentistry. Paediatric Dentistry [formerly pedodontics (American English) or paedodontics (Commonwealth English)] is the branch of Dentistry dealing with children from birth through adolescence. Infant Dental Health exams, which include risk assessment for caries in mother and child. Preventive dental care including cleaning and fluoride treatments, as well as nutrition and diet recommendations. Early assessment and treatment for straightening teeth and correcting an improper bite (orthodontics).Management of Gum Infection and conditions including ulcers, short frenulae, mucoceles, and pediatric periodontal disease. Related Conferences: 17th Asia-Pacific Dental and Oral Care Congress Nov 7-9, 2016 Melbourne, Australia, 24th International Conference and Exhibition on Dentistry and Oral Care May 11-13, 2017 Dubai, UAE, 19th American Dental Congress December 08-10, 2016 Phoenix, USA, International Conference on Orthodontics and Dental Implants, May 9-10, 2016, USA, Dental and Oral health therapist New Zealand October 11, 2015, EnterConf. JUNE 18-19, 2015, T13 HUB, BELFAST, BSDHT Oral Health Conference and Exhibition 18th & 19th November 2016 - Waterfront Hall Conference Centre, Belfast, American Academy of Periodontology September 10-13, 2016 San Diego, American Association for Dental Research, American Academy of Orofacial Pain, American Association of Oral and Maxillofacial Surgeons, American College of Dentists. Related Conferences: 19th American Dental Congress December 08-10, 2016 Phoenix, USA, 13th International Conference and Exhibition on Dental Medicine August 08-10, 2016 Toronto, Canada, 24th International Conference and Exhibition on Dentistry and Oral Care May 11-13, 2017 Dubai, UAE, 19th American Dental Congress December 08-10, 2016 Phoenix, USA, ITI Congress Finland Helsinki September 11-12 2015, ADA Washington D.C, November 5-10, IFED 2015 Cape Town, 5th-7th of November 2015, ICOMS October 27 – 30, 2015 in Melbourne, American College of Prosthodontics, American Dental Society of Anaesthesiology. Craniofacial surgery is a surgical subspecialty of plastic surgery and Oral and Maxillofacial Surgery that deals with congenital and acquired deformities of the head, skull, face, Neck, jaws and associated structures like TMJ Mouthguard. Although craniofacial treatment often involves manipulation of bone, craniofacial surgery is not tissue-specific, i.e., craniofacial surgeons deal with bone, skin, nerve, muscle, human Teeth, etc. Defects typically treated by craniofacial surgeons include Craniofacial surgery is a surgical subspecialty of plastic surgery and oral and maxillofacial surgery that deals with congenital and acquired deformities of the head, skull, Coronal Fractures, face, Neck, jaws and associated structures. 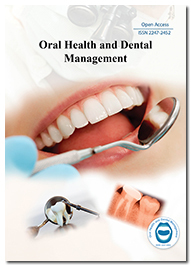 Related Conferences: 13th International Conference and Exhibition on Dental Medicine August 08-10, 2016 Toronto, Canada, 11th Asia Pacific Congress & Expo on Dental and Oral Health July 25-27, 2016 Bangkok, Thailand, 18th Asia-Pacific Dental and Oral Care Congress November 21-23, 2016 Melbourne, Australia, International Conference On Orthodontics and Dental Implants May 09-10, 2016 San Francisco, International Orthodontic Congress, London 27–30 September 2015, Canadian Association of Orthodontists, Canada September 17-19, 2015, 10th Asia Pacific Orthodontic Conference September 1st - 3rd, 2016, Asia Pacific CAD/CAM December 4-5, 2015, Singapore, American Orthodontic Society, American College of Dentists. Swollen and bleeding Gums are early signs that your gums are infected with bacteria. If nothing is done, the infection can spread. It can destroy the structures that support your teeth in your jawbone. Eventually, your teeth can become so loose that they have to be extracted. "Peri" means around, and "odontal" refers to teeth in Periodontics. Periodontal disease is caused by bacteria in dental plaque. Plaque is the sticky substance that forms on your teeth soon after you have brushed. You can prevent periodontal disease by practicing good Dental Hygiene and visiting your dentist regularly. Most people should see the dentist about once every six months. Daily brushing and flossing, when done correctly, can help to remove most of the plaque from your teeth. Oral Health is essential to general health and well-being at every stage of life. A healthy mouth enables not only nutrition of the physical body, but also enhances social interaction and promotes self-esteem and feelings of well-being. Related Conference: 17th Asia-Pacific Dental and Oral Care Congress Nov 7-9, 2016 Melbourne, Australia, 24th International Conference and Exhibition on Dentistry and Oral Care May 11-13, 2017 Dubai, UAE, 19th American Dental Congress December 08-10, 2016 Phoenix, USA, International Conference on Orthodontics and Dental Implants, May 9-10, 2016, USA, Dental and Oral health therapist New Zealand October 11, 2015, EnterConf. JUNE 18-19, 2015, T13 HUB, BELFAST, BSDHT Oral Health Conference and Exhibition 18th & 19th November 2016 - Waterfront Hall Conference Centre, Belfast, American Academy of Periodontology September 10-13, 2016 San Diego, American Association for Dental Research, American Dental Association, American Academy of Periodontology. Bonding is a procedure that uses a tooth-colored composite resin (plastic) to repair a tooth. Bonding can be used on teeth that are decayed, chipped, broken or discoloured and in case of Dental debonding . Veneers are thin shells that are bonded to the front parts of teeth. If most of the tooth remains, veneers can improve the look of the tooth without cutting it down enough to place a crown. Dental Veneers are made of ceramic or resin materials. They are similar to artificial fingernails. A dental inlay or onlay is bigger than amalgam Fillings and smaller than a crown. It is bonded or cemented into place. Dental recontouring involves the removal of small amounts of tooth enamel. The purpose is to change the length, shape or surface contours of a tooth. This is a relatively quick and painless procedure. It is also called tooth reshaping or odontoplasty. Tooth whitening lightens teeth and helps to remove stains and discoloration. Whitening is among the most popular Cosmetic dentistry procedures because it can greatly improve how your teeth look. Related Conference: 24th International Conference and Exhibition on Dentistry and Oral Care May 11-13, 2017 Dubai, UAE; International Conference on Orthodontics and Dental Implants, May 9-10, 2016, USA; 12th World Congress on Dentistry and Oral Health August 4-5, 2016 Manchester, UK; 13th International Conference and Exhibition on Dental Medicine August 08-10, 2016 Toronto, Canada; 19th American Dental Congress December 08-10, 2016 Phoenix, USA; International Symposium Oral and Maxillofacial Surgery, January 25-29, 2016, USA; Canadian Association of Oral and Maxillofacial Surgeons Annual Conference, June 2 -4, 2016, Canada; Cranio Maxillofacial Surgery Congress, September, 13-16, 2016, UK; European Association of Oral Medicine Congress, September, 15-17, 2016, Italy, American Academy for Oral Systemic Health, American Academy of Restorative Dentistry. Scaling and root planning is the most common and conservative form of treatment for periodontics Gum Infection. Scaling is the removal of calculus (commonly called tartar) and plaque that attach to the tooth surfaces. The process especially targets the area below the gum line, along the root. Scaling and root planning are done with a combination of ultrasonic scalers and hand instruments. Ultrasonic instruments are electric or air-powered. Treating periodontitis decreases Gum Infection. It also eliminates dental Caries, periodontal pockets, which can trap plaque. Therefore, if treatment is successful, the swelling will be gone and your gums will shrink or recede. For two to three days after the treatment, you may have some soreness and be sensitive to hot and cold temperatures. Over-the-counter pain relievers can help. Related Conference: International Conference on Orthodontics and Dental Implants, May 9-10, 2016, USA; 12th World Congress on Dentistry and Oral Health August 4-5, 2016 Manchester, UK; 13th International Conference and Exhibition on Dental Medicine August 08-10, 2016 Toronto, Canada; 19th American Dental Congress December 08-10, 2016 Phoenix, USA, American Academy of Paediatrics October 24–27 in Washington, DC, FDI 2015 Annual World Dental Congress 22-25 September 2015 - Bangkok Thailand, IAP Meeting Chile, 2015 Santiago, Chile, Asia Pacific CAD/CAM December 4-5, 2015, Singapore, American College of Dentists, American Academy of Implant Dentistry. There are several types of dental Implant. Root-form implants are by far the most popular. Subperiosteal implants and mini-implants are also used. Your dentist decides which type of implant to use based on the quality of the bone in your jaw. An implant-supported denture is a type of overdenture that is supported by and attached to implants. A regular denture rests on the gums, and is not supported by implants. An oral surgeon, periodontics or general dentist with training in implants will place the implants in your jawbone. Bone augmentation is a term that describes a variety of procedures used to "build" bone so that dental implant can be placed. Single-tooth implants can be used in people who are missing one or more teeth. An implant-supported dental bridge is used when more than one tooth is missing. Related Conference: 24th International Conference and Exhibition on Dentistry and Oral Care May 11-13, 2017 Dubai, UAE; International Conference on Orthodontics and Dental Implants, May 9-10, 2016, USA; 12th World Congress on Dentistry and Oral Health August 4-5, 2016 Manchester, UK; 13th International Conference and Exhibition on Dental Medicine August 08-10, 2016 Toronto, Canada; 19th American Dental Congress December 08-10, 2016 Phoenix, USA, ICOI World Congress March 31 - April 2, 2016. Barcelona, Spain, WIOC November 10-13, 2015, Dubai, ITI Congress Finland Helsinki September 11-12 2015, Implants 2016 conference. Paris, June 7th 2016, ITI Congress Russia October 10 - 11, 2015, Moscow, American College of Prosthodontics, American Dental Society of Anesthesiology. Sedation dentistry and Dental Anesthesiology refers to the use of pharmacological agents to calm and relax a patient prior to and during a dental surgery. The pharmacological agents usually belong to a class of drugs called sedatives, which exert their action by depressing the central nervous system, specifically those areas concerned with conscious awareness. There are different degrees of central nervous system depression, each corresponding to a level of relaxation which ranges from minimal, moderate, to deep sedation. In general, minimal sedation refers to a patient who has reduced anxiety but readily responds to verbal or physical stimulation. With moderate sedation the patient is even more relaxed, and will respond to purposeful stimulation. In deep sedation, the patient may not exhibit any signs of consciousness and therefore be unresponsive to stimulation. Related Conferences: 12th World Congress on Dentistry and Oral Health August 4-5, 2016 Manchester, UK; 13th International Conference and Exhibition on Dental Medicine August 08-10, 2016 Toronto, Canada; 19th American Dental Congress December 08-10, 2016 Phoenix, USA, 24th International Conference and Exhibition on Dentistry and Oral Care May 11-13, 2017 Dubai, UAE, Dental - Facial Cosmetic International Conference, 7th Edition - 13-14 November, 2015, AACD April 27-30, 2016 Canada, Implants 2016 conference Paris, June 7th 2016, American Academy of Periodontology September 10-13, 2016 San Diego, Canadian Association of Orthodontists, Canada September 17-19, 2015, American College of Dentists, American Academy of Implant Dentistry. An Akers' clasp is the classic direct retainer for removable partial dentures in dentistry. Amalgam Fillings is an alloy of mercury with various metals used for dental fillings, for missing teeth used dental bridges. Centric relation is the mandibular jaw position in which the head of the condyle is situated as far anteriorly and superiorly as it possibly can within the mandibular fossa/glenoid fossa. Crown lengthening is a surgical procedure performed by a dentist to expose a greater amount of tooth structure for the purpose of subsequently restoring the tooth prosthetically. Curve of Spee is the curvature of the mandibular occlusion plane beginning at the tip of the lower cuspid and following the buccal cusps of the posterior teeth, continuing to the terminal molar. Crown-to-root-ratio is the ratio of the length of the part of a tooth that appears above the alveolar bone versus what lies below it. Related Conference: 13th International Conference and Exhibition on Dental Medicine August 08-10, 2016 Toronto, Canada, 11th Asia Pacific Congress & Expo on Dental and Oral Health July 25-27, 2016 Bangkok, Thailand, 18th Asia-Pacific Dental and Oral Care Congress November 21-23, 2016 Melbourne, Australia, International Conference On Orthodontics and Dental Implants May 09-10, 2016 San Francisco, Predictable Treatment Planning Eastern Caribbean Cruise. 21–28 November 2015. Miami, United States, St. Barth Dental Association. January 18-22, 2016, EuroPerio 8, June 3-6, 2015 London UK, IAP Meeting Chile, 2015 Santiago, Chile, American Academy of Periodontology September 10-13, 2016 San Diego, American Academy for Oral Systemic Health, American Academy of Restorative Dentistry. Gingivitis is the mildest form of periodontal disease. It is caused by bacteria in dental plaque, which produce substances that can harm the gums. Gingivitis is quite common gum infection. Almost 3 out of 4 adults over age 35 have some evidence of this condition. If you have periodontitis, your gums become detached from your teeth. Spaces called pockets form between the teeth and gums. Aggressive periodontitis gets worse faster than chronic periodontitis. Aggressive periodontitis tends to run in families. Bruxism, also known as tooth grinding. Edentulism is the condition of being toothless to at least some degree. Occlusal trauma is a dental trauma term that refers to the damage incurred when teeth are left in traumatic occlusion without proper treatment. Necrotizing periodontal diseases are forms of disease that get worse rapidly. Related Conference: International Conference on Orthodontics and Dental Implants, May 9-10, 2016, USA; 12th World Congress on Dentistry and Oral Health August 4-5, 2016 Manchester, UK; 13th International Conference and Exhibition on Dental Medicine August 08-10, 2016 Toronto, Canada; 19th American Dental Congress December 08-10, 2016 Phoenix, USA, American Academy of Paediatrics October 24–27 in Washington, DC, IAP Meeting Chile, 2015 Santiago, Chile, EuroPerio 8, June 3-6, 2015 London UK, American Academy of Periodontology September 10-13, 2016 San Diego, Predictable Treatment Planning Eastern Caribbean Cruise. 21–28 November 2015. Miami. Asia Pacific CAD/CAM December 4-5, 2015, Singapore, American Orthodontic Society, American College of Dentists. Acute and long-term (chronic) gum infection require a procedure called scaling and root planting. Some people also may need dental surgery. Antimicrobial therapy is the use of chemicals to kill or slow down the growth of bacteria that cause periodontal (gum) disease. The two most common forms of this therapy are antiseptics and antibiotics. Antiseptics are found in mouth rinses. They usually are used to help prevent periodontal disease. Antibiotics are used to kill specific bacteria. They are placed under the gums or given as pills to treat bleeding gums. Gingivoplasty is a type of gum surgery to cure gingivitis used to reshape healthy gum tissue around teeth. Side effects from radiation therapy to the head and neck may include dry mouth, tooth decay, loss of taste, mouth and gum sores, bone disease, and stiffness in the jaw. Related Conference: 19th American Dental Congress December 08-10, 2016 Phoenix, USA, 13th International Conference and Exhibition on Dental Medicine August 08-10, 2016 Toronto, Canada, 24th International Conference and Exhibition on Dentistry and Oral Care May 11-13, 2017 Dubai, UAE, 19th American Dental Congress December 08-10, 2016 Phoenix, USA, Dental & Oral health therapist New Zealand October 11, 2015, EnterConf. JUNE 18-19, 2015, T13 HUB, BELFAST, BSDHT Oral Health Conference and Exhibition 18th & 19th November 2016 - Waterfront Hall Conference Centre, Belfast, American Academy of Periodontology September 10-13, 2016 San Diego, American Academy for Oral Systemic Health, American Academy of Restorative Dentistry. Gingivectomy is the removal of gum tissue (gingiva) by dental surgery. These dentists specialize in treating gums and the other structures that support teeth. Osseous surgery is a type of surgery that reshapes the bone that holds one or more teeth in place. Osseous surgery reshapes the bone to get rid of the defects. Gingival flap surgery is a type of gum procedure to cure gingivitis. The gums are separated from the teeth and folded back temporarily. This allows a dentist to reach the root of the tooth and the bone. In an apicoectomy, the root tip, or apex, is removed along with the infected tissue. Amalgam fillings is then placed to seal the end of the root. A pulpotomy is required when the entire pulp is involved. During this treatment, the diseased pulp tissue is completely removed from both the crown and root. Related Conference: 12th World Congress on Dentistry and Oral Health August 4-5, 2016 Manchester, UK; 13th International Conference and Exhibition on Dental Medicine August 08-10, 2016 Toronto, Canada; 19th American Dental Congress December 08-10, 2016 Phoenix, USA, 24th International Conference and Exhibition on Dentistry and Oral Care May 11-13, 2017 Dubai, UAE, ESMD 2016 Lithuania April 21-23, 2016, ICOMS October 27 – 30, 2015 in Melbourne, Australia, AAOMS 97th Annual Meeting Washington, DC September 28 – October 3, 12th Annual Conference of the AOMSI 9-11 October, 2015 Palakkad, THE LAUSANNE AIRWAY COURSE Switzerland 25-27 January 2016, American Academy of Periodontology, American Academy of Restorative Dentistry. Orthodontics is a specialty field of dentistry that diagnoses, prevents and treats irregularities of the teeth and face. Treatment can correct an irregular or "bad" bite, also known as a malocclusion. The Invisalign method is gaining an increasing interest as an alternative treatment option in adult patient in multidisciplinary complex cases to simplify the treatment plan. Orthodontic implants have become a reliable method in orthodontic practice for providing temporary additional anchorage. These devices are useful to control skeletal anchorage in less compliant patients or in cases where absolute anchorage is necessary. Cleft lip and palate is usually treated with dental surgery. Other treatments may be needed to treat associated symptoms, such as speech therapy or dental care. Related Conference: 24th International Conference and Exhibition on Dentistry and Oral Care May 11-13, 2017 Dubai, UAE; International Conference on Orthodontics and Dental Implants, May 9-10, 2016, USA; 12th World Congress on Dentistry and Oral Health August 4-5, 2016 Manchester, UK; 13th International Conference and Exhibition on Dental Medicine August 08-10, 2016 Toronto, Canada; 19th American Dental Congress December 08-10, 2016 Phoenix, USA, International Orthodontic Congress, London 27–30 September 2015, Canadian Association of Orthodontists, Canada September 17-19, 2015, 10th Asia Pacific Orthodontic Conference September 1st - 3rd, 2016, Asia Pacific CAD/CAM December 4-5, 2015, Singapore, American Association for Dental Research, American Academy of Orofacial Pain. A bone graft is used to recreate bone and soft supporting tissues lost due to gum infection. It's also called regenerative surgery. People with periodontitis lose gum coverage and bone support around their teeth. Regenerative surgery regrows these lost tissues. Soft-tissue grafts are used to add more gum tissue. If gums recede severely, some of the tooth's root will be exposed. This can make the tooth sensitive to hot or cold temperatures and more prone to root decay. Before your surgery, you need to have basic periodontology treatment called scaling and root planting. You also must be taking good care of your teeth. You should brush twice a day and floss daily. After your dental surgery, you may have some Bleedings and swelling. There is a risk that an infection may develop. Typically, there are no long-term side effects after soft-tissue grafting. Related Conference: International Conference on Orthodontics and Dental Implants, May 9-10, 2016, USA; 12th World Congress on Dentistry and Oral Health August 4-5, 2016 Manchester, UK; 13th International Conference and Exhibition on Dental Medicine August 08-10, 2016 Toronto, Canada; 19th American Dental Congress December 08-10, 2016 Phoenix, USA, American Academy of Pediatrics October 24–27 in Washington, DC, ITI Congress Finland Helsinki September 11-12 2015, ADA Washington D.C, November 5-10, IFED 2015 Cape Town, 5th-7th of November 2015, ICOMS October 27 – 30, 2015 in Melbourne, Australia, American College of Dentists, American Academy of Implant Dentistry. Amalgam is a mixture of silver, tin, zinc, copper and mercury used for dental fillings. Mercury is nearly 50% of the mixture. Amalgam fillings are strong. They can withstand the forces of chewing. A mixture of plastic and fine glass particles called composite resin. Gold alloy (gold mixed with other metals) used in cast gold as Gold doesn’t corrode. Porcelain, most commonly used in ceramics filling in dentistry. Ceramics are more resistant to staining and abrasion than composite resin. Acrylic and a component of glass called fluoroaluminosilicate. Glass ionomers release fluoride, which can help protect the tooth from further decay. Dental caries are the tooth decay or cavities due to breakdown of teeth as a result of bacterial activity. Related Conference: 17th Asia-Pacific Dental and Oral Care Congress Nov 7-9, 2016 Melbourne, Australia, 24th International Conference and Exhibition on Dentistry and Oral Care May 11-13, 2017 Dubai, UAE, 19th American Dental Congress December 08-10, 2016 Phoenix, USA, International Conference on Orthodontics and Dental Implants, May 9-10, 2016, USA, World Implant Orthodontic Conference, Dubai 10-13 Nov 2015, St. Barth Dental Association. January 18-22, 2016, BELFAST 2016 British, 18-19 November, 2016, Canadian Association of Orthodontists, Canada September 17-19, 2015, American Academy of Fixed Prosthodontics, Academy of General Dentistry. Track 20: Benefits of Going to a "PRO"
The first visit provides an opportunity to get to know you and establish what you would like to achieve in terms of long-term dental health. A smile doesn’t just indicate healthy teeth and gums; your dental health also plays a significant role in how confident you feel. They will help you to have a comfortable set of teeth so you can eat with comfort. Make a positive change and feel so much better by boosting your self-esteem and gain more confidence. No patient wants the pain and inconvenience of a cracked tooth. Avoiding a cracked tooth is oftentimes not rocket science. It can sometimes happen unexpectedly but most times it is preventable. 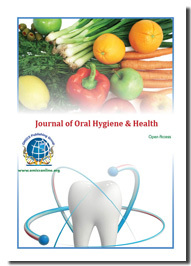 With the overwhelming success of previous annual Dental conferences, which include 2nd International conference on Dental and Oral Health which was held during April 21-23rd, 2014 in Dubai, UAE and International Conference on Dental and Oral Health during August 19-21, 2013 in Las Vegas, USA, OMICS International with immense pleasure welcomes you to the official site of the 2nd International Conference on Dentists and Prosthodontics to be held on May 18-19, 2017 in Toronto, Canada. OMICS International organizes 1000+ Global events every year across the globe with support from 1000+ more scientific societies and Publishes 500 Open access journals which contains over 50000 eminent personalities, reputed scientists as editorial board members. The conference expects the participation of experts from various cross disciplines like virologists, immunologists, microbiologists, epidemiologists, doctors, public health planners, pharmacologists, computational biologists, and those in applied fields conducting influenza related research. Prosthodontics- 2017 is an uncommon occasion intended for International Periodontist, Prosthodontist, Dental and Oral well-being experts to encourage the dispersal and use of exploration discoveries identified with oral well-being and the collaborations in the middle of oral and systemic well-being. Prosthodontics is the area of dentistry pertaining to the diagnosis, treatment planning, rehabilitation, and maintenance of the oral function, esthetics, and health of patients with clinical conditions associated with missing teeth, deficient teeth, and/or compromised maxillo-facial tissues using biocompatible substitutes. A Periodontist is a dentist who specializes in the prevention, diagnosis, and treatment of periodontal disease, and in the placement of dental implants. Periodontists are also experts in the treatment of oral inflammation. 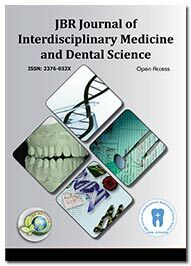 The subject of the social occasion is around, Examining the Possible results in Shaping the Destiny of Prosthodontics-2016 to improve oral wellbeing results, Field experts and organization structures need to develop their inside to address, in an orderly way, people wellbeing issues, for instance, the headway of a dentally stable lifestyle, and the early conspicuous evidence and treatment of oral wellbeing issues. In 2015, dental visits and consultations are expected to make up 32.3% of total revenue. This product segment includes prevention services (16.3%), as well as consultation and diagnostic services (15.9%). International conference on Prosthodontics-2017 which is going to be the biggest conference dedicated to dental provides a premier technical forum for reporting and learning about the latest research and development, along with discussing new applications and technologies. Events include hot topics presentations from all over the world and professional networking with industries, leading working groups and panels. Meet Your Objective Business sector With individuals from and around the globe concentrated on finding out about Periodontics and Prosthodontics, this is the best chance to achieve the biggest collection of members from everywhere throughout the World. Conduct shows, disperse data, meet with current, make a sprinkle with another product offering, and get name acknowledgment at this occasion. Widely acclaimed speakers, the latest methods, strategies, and the most up to date overhauls in Periodontics and Prosthodontics are signs of this meeting. The Professors, Dentists, Researchers, Clinicians, Educators, Marketing, and Students from Academia in the study of Periodontics and Prosthodontics. Prosthodontics is the area of dentistry pertaining to the diagnosis, treatment planning, rehabilitation, and maintenance of the oral function, esthetics, and health of patients with clinical conditions associated with missing teeth, deficient teeth, and/or compromised maxillo-facial tissues using biocompatible substitutes. A Periodontics is a dentist who specializes in the prevention, diagnosis, and treatment of periodontal disease, and in the placement of dental implants. Periodontists are also experts in the treatment of oral inflammation. Periodontists receive extensive training in these areas, including three additional years of education beyond dental school. They are familiar with the latest techniques for diagnosing and treating periodontal disease, and are also trained in sperforming cosmetic periodontal procedures. This obliges a more conspicuous gathering approach within dental take a shot at, including general and powers dental masters and other oral wellbeing specialists. So the meeting will be helpful to review these suspicions with confirmation that there are different opportunities to enhance use of the distinctive people from the oral wellbeing workforce. · Benefits of Going to a "PRO"
Why to attend the conference on Periodontics and Prosthodontics??? New Orleans is a major United States port and the largest city and metropolitan area in the state of Louisiana and is located in the southeast part of the state, between the Mississippi River and Lake Ponchartrain. Its name comes from Orléans, a city on the Loire River in France. Known for its French Creole architecture and multilingual and cultural heritage, New Orleans is often called the most unique city in the United States. The population of the city was 378,715 as of the 2013 U.S. Census Bureau. In 2012, 24/7 Wall St. identified the 10 largest cities with the fastest growing populations in the US based on Census Bureau data. New Orleans ranked #1, with 4.9% growth from 2010 to 2011.
offices of oil companies with major offshore operations in the Gulf of Mexico, as well as the distribution and service centres of offshore equipment suppliers and fabricators. The manufacturing industry is a significant part of the economy, with petroleum, petrochemical, shipbuilding, and aerospace industries all playing a role. The New Orleans region also functions as a mining, processing, and transportation centre for other minerals, principally sulphur. Service industries are playing a larger role, with health care and telecommunications leading the way. The New Orleans region is widely regarded as a leading centre of medicine and health care in the South. In New Orleans a wide-scope of innovations take place in several areas of Periodontology and Prosthodontology, including Orthodontics, Oral and maxillo-facial Implants, Endodontic, Pedodontics, Oral Health. Currently there are more than 50 Dental Universities in USA. 66. Marquette University School of Dentistry, Milwaukee. In 2015, dental visits and consultations are expected to make up 32.3% of total revenue. This product segment includes prevention services (16.3%), as well as consultation and diagnostic services (15.9%). Benefits of Going to a "PRO"